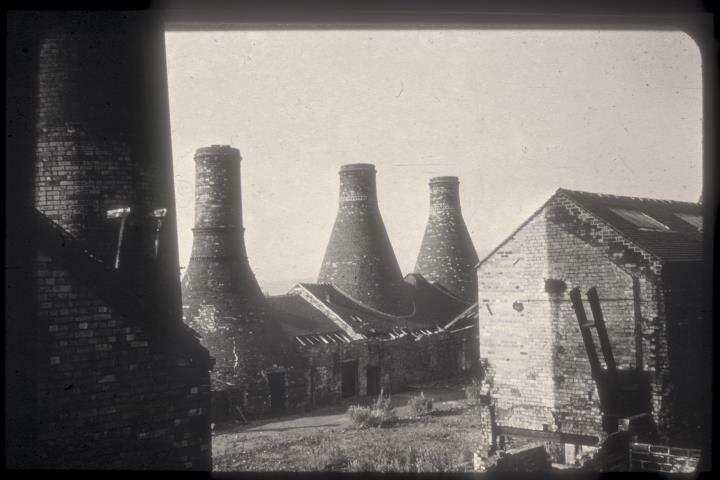 Description:The courtyard of the New Hall Pottery seen from Hope Street, with the line of enclosed bottle ovens and the bottom of the factory chimney, on the left. The works fronted onto York Street and New Hall Street in Hanley. New Hall Pottery as founded in 1899, taking over the pre-existing New Hall works. By 1913, the company was reputed to be the world's largest manufacturer of "cheap toilet seats and jugs". The works were largely destroyed by fire and rebuilt after the First World War, with the company now concentrating on hotel ware. 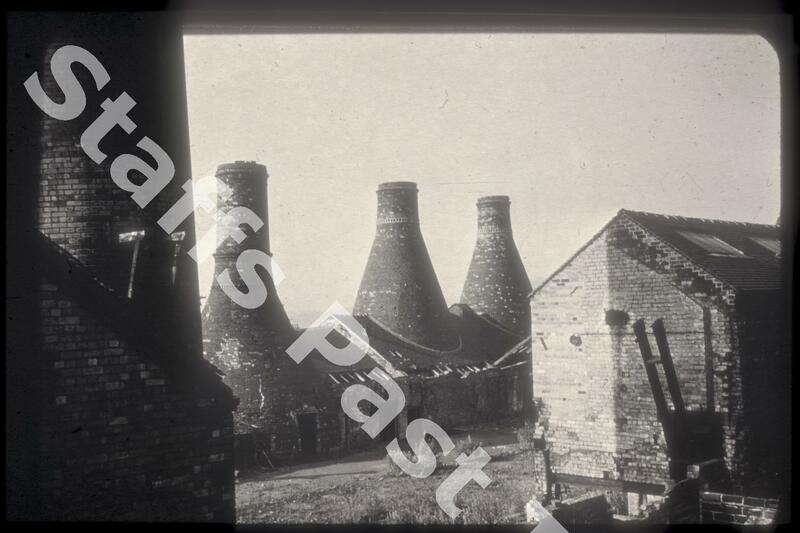 New Hall Pottery Co. ceased in 1956 and the land became the site of a supermarket in the 1980s.